Happy Constitution Day! Part 2. Today is Constitution Day, the commemoration of the signing of the Constitution by the members of the Constitutional Convention, in Philadelphia, on 17 September 1787. But that was just the beginning. A long struggle, filled with passionate debate, followed before the Constitution was finally ratified by the United States and a new government was formed. John Jay did not sign the Constitution that day. But he contributed significantly to its ratification in two ways. First, with Alexander Hamilton and James Madison, he planned and wrote the Federalist Papers, authoring numbers 2-5 and 64. He was prevented from writing more after he was injured by a brick in the Doctors Riot of April 1788. 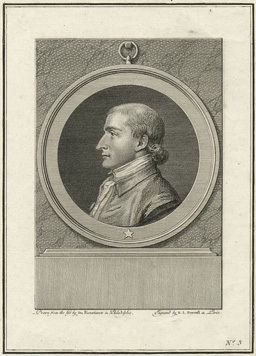 Second, Jay was a crucial force in the New York ratification convention of June 1788, reaching “across the aisle” to those opposed to the new Constitution and gaining their support. The Rare Book and Manuscript Library of Columbia University owns Jay’s draft of Federalist 5. A transcript is published below. All Jay’s Federalist writings, the extant drafts, debates from the ratification convention, and important correspondence about the Constitution and its ratification will be published in Volume 4 of the Selected Papers of John Jay, out in 2015. For more on the ratification, see The Documentary History of the Ratification of the Constitution and the Bill of Rights, 1787-1791, edited by John P. Kaminski, Gaspare J. Saladino, Richard Leffler, Charles H. Schoenleber and Margaret A. Hogan (Wisconsin Historical Society Press). It was remarked in the preceding Paper that weakness ^& Divisions^ at Home would invite Dangers from abroad; and that nothing would tend more to secure us against from foreign Insults and war than union ^them than union^ Strength and good Government within ourselves– This subject is copious & cannot easily be exhausted. The history of Great Britain is the one with which we are in general the best acquainted, and it gives us many useful Lessons. Let us ^we may^ proffit by their Experience, without paying the price which it cost them. However ^altho it was seems^ obvious it was to common Sense and common prudence that the People of such an Island should be but one Nation, yet we find that they were for ages divided into three, and that those three, instead of living together as good Neighbours, were almost constantly ^embroyed in^ quarrelling^s^ and fighting ^wars with one another^. notwithstanding their ^true^ Interests with respect to the continental Nations was the ^really the^ same, yet the ^by the^ arts and Policy ^and Practices^ of those nations was such as to ^cherish &^ increase their ^mutual^ Jealousies subsisting between the three ^were perpetually ^^kept^^ enflamed^, and for a long Series of Years to render ^them^ ^they were far more^ inconvenient & troublesome rather than ^than they were^ useful and assisting to each other. If this Reasoning be fair, then it follows undeniably follows that these three or four Confederacies ^They who well consider the History of similar divisions & confederacies, will find abundant Reason to apprehend that those men in contemplation^ would in no other Sense be Neighbours further than as they would be Borderers– for never in the Language of Queen Ann, would be^they^ be joined in affection or free from all apprehension of different Interest–what thenwhi would such Confederacies and Divisions give us but ^that they wd nether love nor trust one another, and but on the contrary would forever be a prey to^ Discord, mutual Jealousy, and mutual Injuries?– if so, should we not then be ^[in] short they wd place us^ exactly in the Situation which our Enemies if we have any would ^some other Nations doubtless wish^ wish ^to see^ us vizt. formidable only to one ^each^ another– whether such a ^any^ Situation could be imagined ^Let candid men judge whether any Situation wd be^ more likely to expose one confœderacy urged by apprehensions of Dangers would put have a ^provide^ little military Establishment– the others to be equally well prepared would do the like– by Degrees they would increase ^be augmented^– and standing armies wd. ^after a while^ be^come^ as common here as they are in Germany and from for the same Reasons and Purposes– Like them too they would often^er^ be turned against each other than against a foreign Enemy; for there are very few Ins when did a foreign Army eve carry fire & sword into Germany would ^without^ being guided and assisted by the Counsels and arms of one or more of its States. Are not the People of America there^fore^ wise in thinking that their Safety depends on their union? Nay it is far more probable that in America as in Europe neighbouring Nations ^acting under the Impulse of opposite Interest and unfriendly Passions^ would be ^frequently be^ found taking different Sides. Wicked Men of great Talents & ambition are the growth of every Soil, and seldom hesitate to precipitate their Country into ^any^ wars and Connections that wh. ha may promote their Desg Designs– Considering our Distance from Europe it will wd be more natural that ^for^ these confederacies should be more ^to^ apprehen^d^sive of Danger from one another than from distant Nations, and thereby^fore that each shd be more^ be disposed more to guard agt. the others by the aid of foreign alliances than to guard agt. foreign Dangers by alliances between themselves. This entry was posted in Uncategorized on September 17, 2014 by Jennifer E. Steenshorne, Ph.D., Associate Editor, The Papers of John Jay.